The effect of Au doping on a 10%Co/TiO2 Fischer–Tropsch catalyst has been investigated by varying the amount of Au (0.2–5 wt.%) added to the catalyst. Addition of Au to the 10%Co/TiO2 system improved the cobalt dispersion on the catalyst surface and shifted the reduction temperature for the cobalt oxides in interaction with the support to lower temperatures. 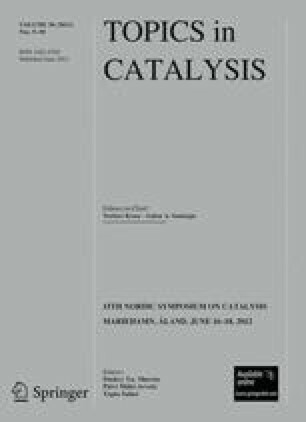 The catalyst activity for FT reaction increased with an increase in Au loading and passed through a maximum in activity at 1 wt.% Au while the methane and light product selectivity monotonically increased with Au loading.